COLUMBUS, Ohio, February 25, 2013 (ENS) – The U.S. EPA, eight states and 13 citizens groups have reached an agreement with American Electric Power that requires the nation’s largest power company to cut air pollution at 16 of its coal-fired power plants across the Midwest and South. The settlement comes in a lawsuit originally filed in a federal court in Ohio in 1999 and is a modification of a prior 2007 settlement in a federal-multistate air pollution lawsuit. That case addressed the air pollution carried from AEP plants east of the Mississippi River into New England and the Mid-Atlantic states. Under the 2007 settlement, the company was required to install $4.6 billion worth of pollution controls and to invest $60 million in air pollution reduction projects. AEP asked to reopen the settlement to change the pollution control technology on its two Rockport coal-fired plants in Indiana, which would save the company more than $1 billion in installation costs. In exchange, AEP agreed to meet a lower sulfur dioxide limit across its Eastern system beginning in 2016. The new agreement lowers the “cap” on the total amount of sulfur dioxide, SO2, pollution that can be emitted by the 16 power plants in AEP’s eastern fleet. AEP agreed to deeper and quicker emission reductions that lower the power plants’ emission levels far below federal requirements. If the modified consent decree, filed with the U.S. District Court in Ohio Friday, is approved by the court after a public comment period, AEP and its subsidiaries will reduce their total SO2 emissions by roughly 90 percent by 2029 from its baseline emissions before the original 2007 settlement. 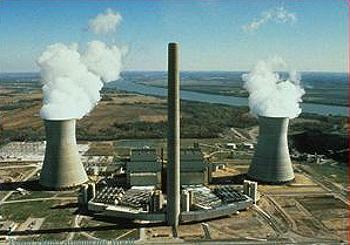 The agreement means that by 2015 AEP will stop burning coal at three power plants in Indiana, Ohio and Kentucky. A total of 2,011 megawatts of coal-fired power will retire under the new settlement, removing some 12 million tons of climate-warming carbon emissions and nearly 84,000 tons of sulfur dioxide, SO2, that those three coal-fired power plants emit each year. As part of the modified settlement, AEP has agreed to give a total of $6 million to the eight states involved in the settlement: Connecticut, Massachusetts, Maryland, New Hampshire, New Jersey, New York, Rhode Island and Vermont. These funds will cover programs to mitigate the effects of air pollution carried east from AEP’s Midwest plants. AEP also agreed to provide $2.5 million in mitigation funds to citizen groups in Indiana for projects which may include diesel vehicle retrofits, health and safety home repairs, solar water heater installations, replacement of dirty outdoor wood boilers and land acquisition projects. The agreement also commits AEP to developing 50 megawatts of wind or solar power this year and an additional 150 MW of wind or solar power in Indiana or Michigan by 2015. “Across the Midwest and the Great Plains, in states like Iowa and South Dakota that already get 20 percent of their energy from wind sources, clean energy is powering homes, putting people back to work, and protecting families from dangerous and expensive coal-fired power plants,” said Kerwin Olson, executive director of Citizens Action Coalition of Indiana, one of the settling groups. Under the modified settlement AEP will install pollution-curbing dry sorbent injection, or DSI, technology on its Rockport coal-fired power plant in Southern Indiana, saving the company more than $1 billion in installation costs. 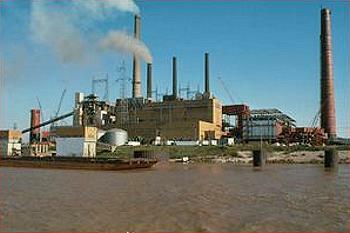 The 2007 agreement had required AEP to install flue gas desulfurization technology at Rockport – a more expensive technology that results in greater pollution reductions, but the parties agreed to the DSI technology in return for an earlier installation date, the other coal plant retirements, and clean energy investments. Under the new agreement AEP must either retire the two Rockport units in 2025 and 2028 or install additional controls designed to achieve removal of at least 98 percent of the sulfur dioxide they emit. AEP also will stop burning coal at the Tanners Creek Generating Station Unit 4 in Indiana, the Muskingum River Power Plant Unit 5 in Ohio, and the Big Sandy Power Plant Unit 2 in Kentucky. The retirements of these three power plants represent the 140th, 141st, and 142nd coal plants to retire or announce their retirement since 2010. Since January 2010, more than 50,000 megawatts of coal-fired power have been retired or committed for retirement nationwide, an outcome the Sierra Club’s Beyond Coal campaign has been working to achieve. “Today’s agreement will protect public health, reduce the threat of climate disruption, and create a cleaner environment for families in Indiana, Ohio and Kentucky,” said Jodi Perras, Indiana campaign representative for the Sierra Club’s Beyond Coal campaign. “Across the country, the coal industry faces unprecedented setbacks as its share of electricity generation plummets and the cost of coal continues to skyrocket. This agreement is only the latest sign of progress as our country continues to transition away from dirty, dangerous, and expensive coal-fired power plants,” said Perras. The 13 citizens groups involved in the settlement are: the Clean Air Council, Citizens Action Coalition of Indiana, the Environmental Law and Policy Center, the Hoosier Environmental Council, the Indiana Wildlife Federation, the Izaak Walton League, the League of Ohio Sportsmen, National Wildlife Federation, the Natural Resources Defense Council, Ohio Citizen Action, Ohio Valley Environmental Coalition, the Sierra Club and the West Virginia Environmental Council.